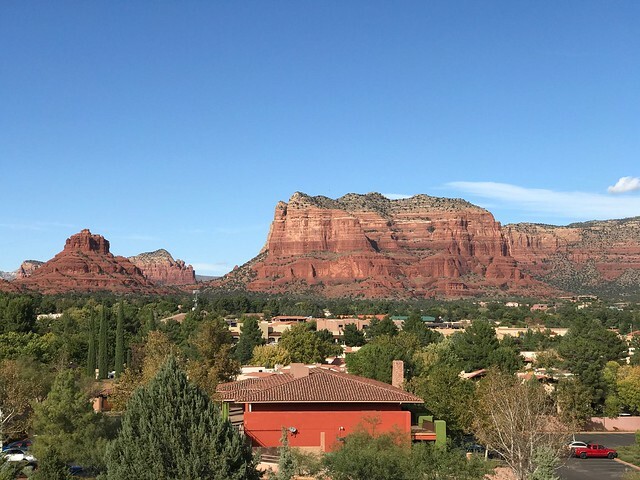 After spending a couple of days teaching training classes in Yuma and Phoenix, Sharon and Holly are off to Sedona for the weekend. They are staying at the Hilton Sedona Resort at Bell Rock in the Village of Oak Creek. This is the view from Sharon's hotel room! I had a chance to spend the afternoon in Sedona during one of the spring training trips. Sharon and I need to spend a long weekend there!